President Obama claimed that the Iranian nuclear deal would lead to a safer international community. He and his administration went around the clock to convince the American people of it. Deputy national security advisor Ben Rhodes, who was just hired by MSNBC, admitted in 2016 that the White House intentionally peddled a narrative that the Iranian regime had suddenly become more moderate to push for support on the agreement. It turns out they also misled Congress. 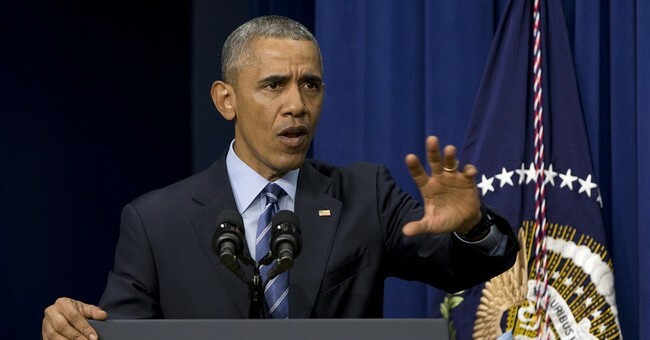 A new Senate report reveals that despite telling lawmakers that Iran would not have access to the U.S.'s financial markets following the agreement, Obama officials granted Iran a license offering just that. The report, from the Senate’s Permanent Subcommittee on Investigations, found that the U.S. was a bit too lenient with its economic sanctions. Iran wanted to convert the Omani rials to Euros, but the Omani rial’s value is tied to the U.S. dollar. In order for the conversion to be complete, the rials had to be converted to U.S. dollars, which would then be converted into euros. The report says that this conversion process was not allowed under U.S. sanctions, and that there were other options available to convert such funds -- just less efficient. Despite this, OFAC provided Bank Muscat with a specific license in February 2016, authorizing roughly $5.7 billion worth in Iranian assets to be processed through the U.S. financial system, the report says. U.S. officials at OFAC then tried to encourage two banks to make such conversions. Republican senators like Rob Portman (R-OH) were frustrated with new proof that the Obama administration broke its promise. President Trump, who has called the Iran deal one of the "worst" agreements ever negotiated, announced last month that the U.S. would be withdrawing from it. This week Iran threatened (again) to remove Israel from existence. How's that for "moderation?"